Today's card is one that I made to congratulate a few team members and as my thank you card for December online orders. This adorable panda is from an upcoming Sale-a-Bration stamp set called Party Panda's. It's going to be a popular stamp set! It's hard to tell but I used glossy cardstock and a technique using ink refills and rubbing alcohol for the balloon. I'll film a video showing you how to do it and share in the new year. After the cardstock was dry, I stamped the balloon and cut it out. 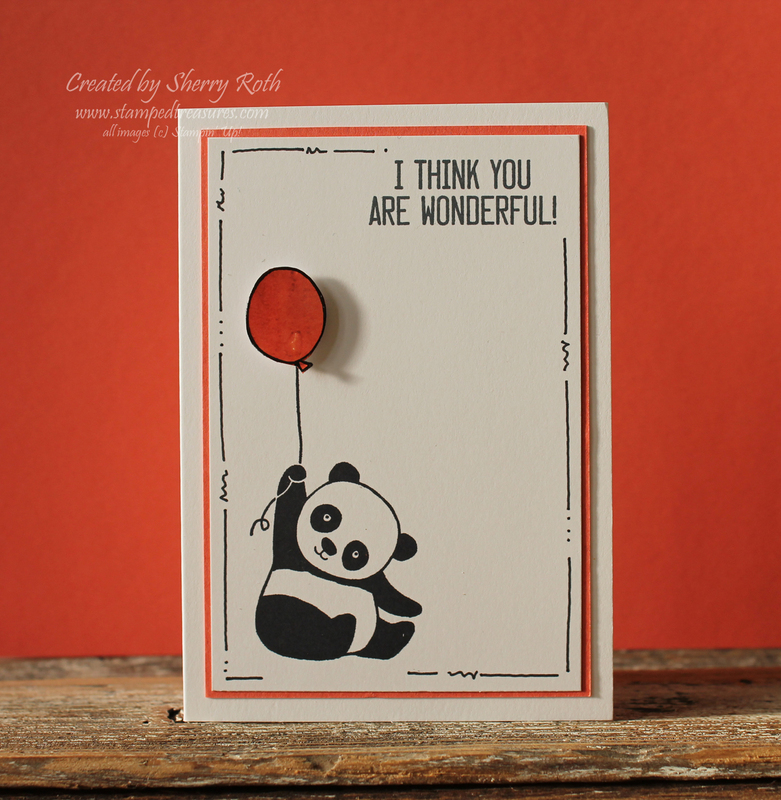 The greeting on this card is from the stamp set that comes in the Soft Sayings card kit. I think you are wonderful can be used for so many different occasions. I used it along with a congratulations on the inside and also a thank you greeting on the inside. With the busy holiday season upon us, it's tough to find the time to plan for upcoming events. If you are a Stampin' Up! 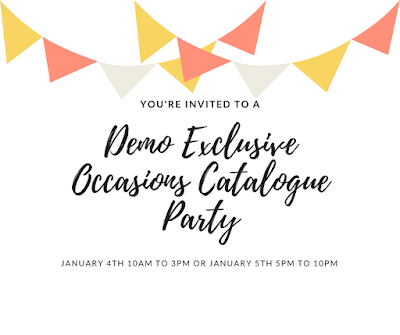 demonstrator, or considering becoming one, I'd love to have you join us at January's Demo Exclusive Occasions Catalogue Party where we will create 20 samples using brand new products! Whether you use them for upcoming events, displays or personal use - 20 projects will go a long way! Friday, December 15th is the last day to register for the event so be sure to let me know if you'd like me to save you a spot! 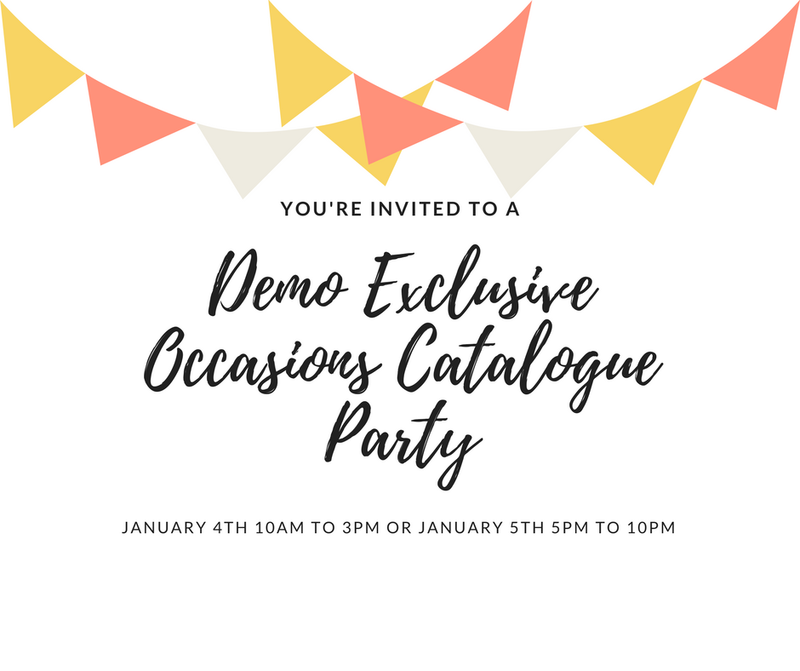 Save me a spot at the demo only event! Hope you get a chance to get crafty as we get closer to Christmas!